FORT WORTH, Texas (AP) — A judge on Wednesday ordered a Texas teenager who used an “affluenza” defense in a fatal drunken-driving wreck to serve nearly two years in jail, a surprising sanction that far exceeds the several months in jail that prosecutors initially said they would pursue. 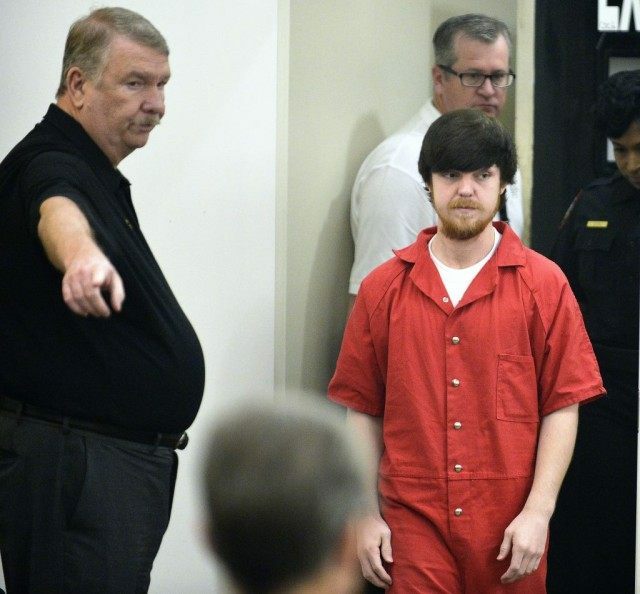 Ethan Couch, who was appearing in adult court for the first time after he turned 19 on Monday, received 180 days for each of the four deaths in the June 2013 crash. Initially, state District Judge Wayne Salvant said he would not immediately rule on how much longer Couch would spend in the Tarrant County jail. But he reconsidered his ruling after hearing an argument from prosecutors that Couch should be sentenced not to 120 days in jail for the crash, but to 180 days for each of four counts of intoxication manslaughter under a separate part of Texas code. Couch had always faced the prospect of adult jail time as part of his probation once his case had moved out of the juvenile system. Prosecutors didn’t ask the judge to declare Couch had violated his juvenile probation by fleeing to Mexico with his mother last year, or to consider it in his ruling. Each 180-day term will be served consecutively, Salvant ordered. Tarrant County Sheriff Dee Anderson said Wednesday that it was not clear if that would include the time Couch has already spent in jail. Prosecutors declined to comment afterward on their strategy, citing a gag order Salvant has issued in the case. For months, they had indicated they wouldn’t be able to get more than a few months in jail for Couch, though they said he might face decades in prison if he violated his probation again as an adult. But as the hearing Wednesday neared an end, prosecutors said they wanted Salvant to consider a section under the Texas Code of Criminal Procedure that allows a judge to give a defendant facing probation for a felony crime up to 180 days. Prosecutors then asked Salvant to issue a “stacked” sentence, running each of the four punishments consecutively. Salvant agreed over the objections of Reagan Wynn, one of Couch’s attorneys. But he said he would give both sides two weeks to file any response to his sentence, suggesting that he might reconsider. The initial sentence of 10 years of probation that Couch received in juvenile court outraged prosecutors and relatives of the victims, which include one teenager who was paralyzed and uses a wheelchair. The new jail time surprised Greg Coontz, a lawyer who represented one person killed in the crash and another who was injured. Coontz said it was good news that Couch received more punishment, but he questioned whether it was enough to rehabilitate Couch. Couch lost control of his family’s pickup truck after he and his friends had played beer pong and drank beer that some of them had stolen from a Wal-Mart. He veered into a crowd of people helping the driver of a disabled vehicle on the side of the road. Authorities later estimated that he was going 70 mph in a 40 mph zone. The crash fatally injured the stranded motorist, a youth minister who stopped to help her and a mother and daughter who came out of their nearby home. Couch was found to have had a blood-alcohol level three times the legal limit. Couch ended up in trouble again last year after a cellphone video showed him at what appeared to be a party with alcohol. Drinking alcohol is a violation of Couch’s probation. Shortly after the video surfaced, Couch and his mother, Tonya, fled to Mexico. The two were apprehended in a Mexican resort city in December and sent back to the United States. Couch has been in custody since. It was not Couch’s first run-in with the law. At 15, Couch was given two citations after a police officer found him behind the wheel of a pickup truck next to a half-naked girl, with an open vodka bottle on the backseat floor. Ethan’s father, Fred, runs a roofing and construction company and has faced lawsuits over a $100,000 debt and allegations of sexual harassment. Tonya Couch is charged with hindering the apprehension of a felon for helping Ethan flee to Mexico. Fred Couch attended Wednesday’s hearing. He did not respond to questions as he left the courthouse. Associated Press writers Reese Dunklin in Dallas and Emily Schmall in Fort Worth contributed to this report.